Why did I feel a strange reticence going into this film? It just seemed to have turned up on the radar one day, appropriate of nothing. As comic book movies went, Marvel’s Big Greeny had had his chance. Perhaps that was the oddity; knowing full well that whatever this new film was, that is was most certainly a Hollywood version of a schoolyard “do-over” – penance for the misbegotten 2003 interpretation by Ang Lee. That version was nearly universally derided for far too much naval-gazing and deeper thinking than acceptable by Superhero standards (- and freaky poodles), 2008’s Hulk can be accused of none of that and takes great pains to give fans of the Jack Kirby/Stan Lee creation lots of rock-em, sock-em action - exactly what they were looking for the first time around. The Incredible Hulk begins with a fast-paced origin flashback. 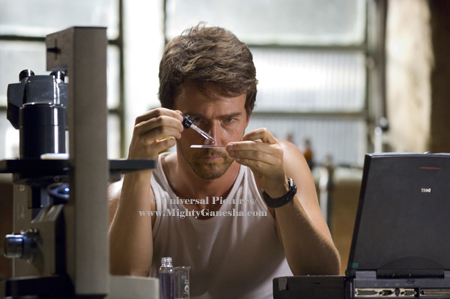 Scientist Bruce Banner serves himself up as a human guinea pig for a very risky experiment. A boo-boo somewhere during the test sets off a cataclysmic chain of destruction and recriminations that lead our man deep into hiding in the teeming ghettos of Brazil. The failed experiment has borne a result that no one could have expected. 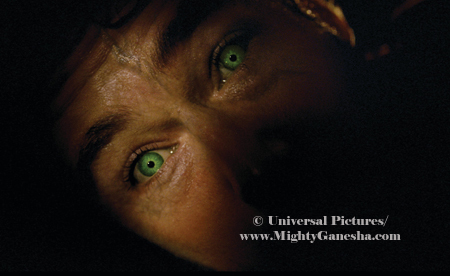 Playing with gamma rays has turned Banner literally in to a monster – part-time. The soft-spoken, mild mannered doctor transforms into a gigantic, musclebound behemoth when his buttons are pushed. When we catch up with Banner in Brazil five years after the accident, he is taking martial arts classes to control his breathing when faced with stressfull situations. He has taken a menial factory job and does his best to go unnoticed as he trades emails and experiment notes with an anonymous scientist in the States, hoping to cure his condition. 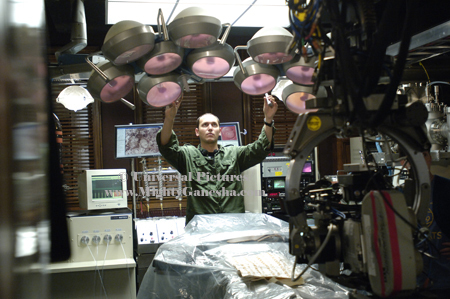 Sadly for Banner, the US military has something riding on his failed experiment and once he is inevitably located, the determined General Ross sends an elite force headed by gung-ho soldier, Emil Blonsky to locate and recover Banner and his valuable infected blood cells. The troops’ utter decimation by the giant creature sends Banner back to America in pursuit of the cure and Blonsky into the military lab in an attempt to duplicate the mojo that did such a job on Banner. Leaning as far away from the dire Ang Lee account as possible, one of the most noticeable qualities about The Incredible Hulk is the amount of humour in its script. The abundant levity borders on turning the film into a spoof. There are plenty of aha moments and funny bits for the Marvel fans, like Banner’s bristling at a pair of bright purple pants being added to his tear-away wardrobe. The formula injected into Blonsky is the same Super Soldier concoction that created Captain America. Stan Lee appears as the recipient of a Brazilian gamma ray cocktail. 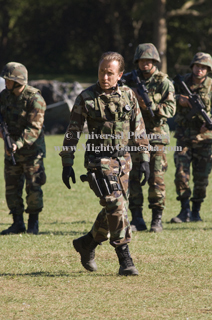 The military sect chasing after Banner is revealed to be S.H.I.E.L.D. and by now, the bit part by Robert Downey Jr. as Tony Stark is no surprise as he talks up “the Avenger project” to General Ross. There are even more yuks for those familiar with the 1977 Incredible Hulk TV-show that starred Lou Ferrigno (- Present here in a cameo and also as the voice of the Hulk) as the green machine. Channel surfing In Banner’s Brazil flat, the only English-language programme available is The Courtship of Eddie’s Father, starring the first live action Banner, the late, great Bill Bixby. Cuter still, in that scene Bixby is congratulating his son on his pugilistic skills, “Eddie, that was a great punch!” All levels of in-jokes here, kids. Later, when our Banner escapes the clutches of the military and finds himself in tattered rags and bare feet forlornly walking down a country road in Guatemala, the TV series theme accompanies him in the background. The old TV series maxim, “Don’t make me angry. You wouldn’t like me when I’m angry” is delivered early in Portuguese to comic effect. 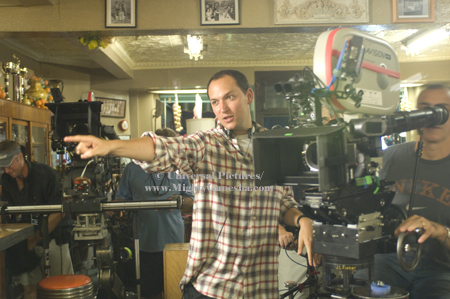 There’s so much of the ha-ha that I wondered if director Louis Leterrier was at all serious about making a great movie? 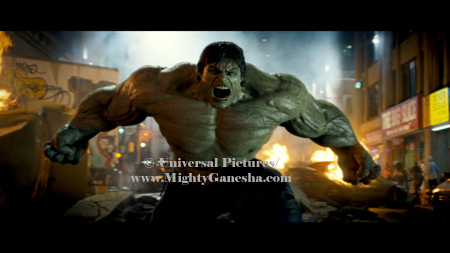 Iron Man, it ain’t, but The Incredible Hulk was surprisingly entertaining in its own way. Besides the quasi-comedic script, there is the action, which is really why we’re all here. I enjoyed Leterrier’s choice to reveal the green guy in fits and starts; a single transformed leg seen through night-vision field glasses, a growl before the chaos ensues, an arm grabbing a soldier and hurling him like a rag doll. There are plenty of bracing shots of the Hulk doing all kinds of cool stuff, ripping apart Army tanks, barely flinching when being shot at with a comically escalated military arsenal, leaping across rooftops like a very muscular grasshopper, and there’s even a move from the comic book I’d completely forgotten I liked - the clap of hands that can create a massive gust of wind - very handy in one particularly thrilling scene. The battle against the mutant called Abomination is tremendous fun in a very visceral, video game type of way - and there’s the rub. Because the creatures are so clearly CGI, as enjoyable as the skirmishes are, there is a disconnect for the audience because there’s so obviously nothing really there, and we don’t have a particular emotional tie to either creature to make them real. 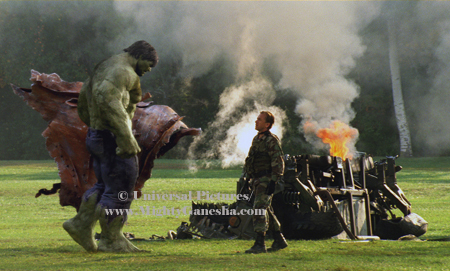 Unlike the suspension of disbelief one feels for Iron Man and his fallible metal suit, Spider-Man webslinging all over New York City, or even Lord of the Rings’ Gollum, a fully CGI creature who had real depth; the very effects that bring Hulk to life also create the barrier to connection. It certainly doesn’t help that there are moments when he really does resemble Shrek. Even so, I enjoyed those sequences as I would if I was watching similar action on an Xbox. In a thrilling non-Hulk moment, the back-alleys of Rio’s Tavares Bastos, where levels of cramped houses exist practically on top of each other; serve as a great winding backdrop for the soldiers’ pursuit of Banner. 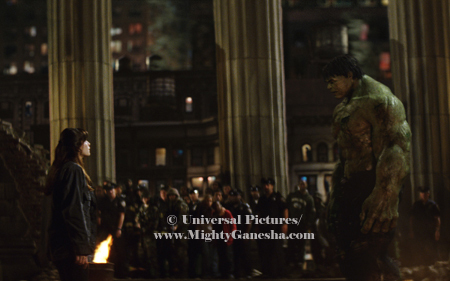 Also, that great clash between Hulk and Abomination takes place on a hilariously cheap-looking movie-set version of Old School 125th Street. The Hulk tearing a police car in half to use as a pair of boxing gloves is a hoot. Ed Norton is just fine as Bruce Banner. This isn’t the stuff of Academy Awards, but he does a great job with the throwaway funny stuff. In Guatemala, he endearingly requests replacement pants with the line, “Tienes más stretchy?” His Banner is an adorable geek and you feel for the unfairness of all that befalls him. 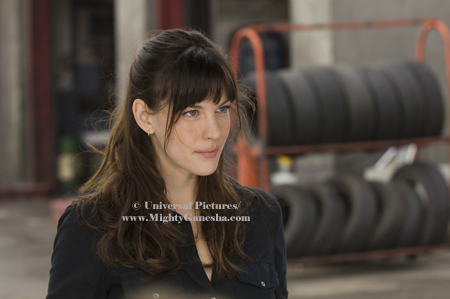 His scenes with Liv Tyler as Banner’s lost love, Betty Ross are very sweet. Tyler is great as the supportive, fiercely protective scientist who never forgot her adoration for the disappeared Banner. 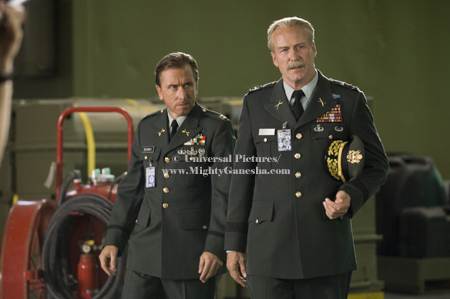 Tim Roth has a great old time as Emil Blonsky, he’s got stunts and wire-fu after taking the Super Soldier formula and injects a nice bit of his trademark nihilistic malice as the avaricious, power-mad military man. Only Roth could make you believe someone of his 5’9”-ish stature would have the cheek to face-off with the 9-foot tall verdant colossus. The one person who doesn’t seem like he’s having any kind of time, good, bad or indifferent is William Hurt. 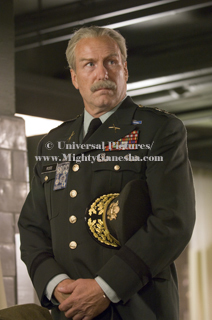 Hurt’s General Ross has an opportunity to display some range as the heedless soldier who’s lost the love of his daughter pursuing Banner’s DNA for the good of the US military, but Hurt is comatose here and no amount of raw emotion on anybody’s part is going to move him. I’m not asking for the scenery gobble of Nick Nolte’s villain in the previous Hulk, but proof of a pulse might have been nice. 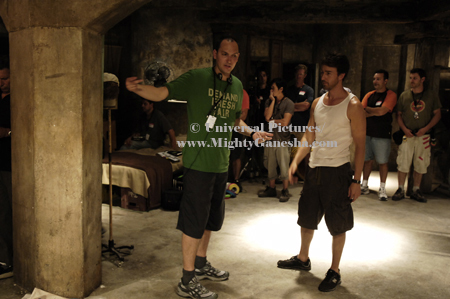 It certainly would’ve kept up the energy level that all his other cast members so nicely provide. 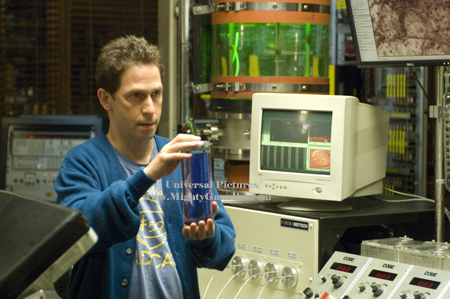 As if to make up for Hurt’s non-performance, Tim Blake Nelson is a gas as the über-geeky scientist Banner collaborates with to find a cure. 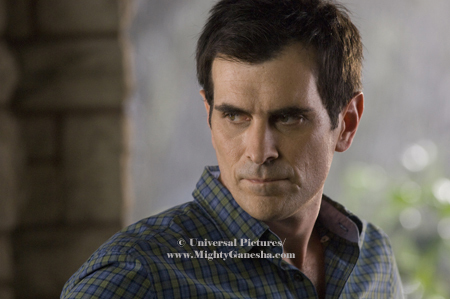 There is a definite possibility we’ll see him in the sequel and that would be peachy. How do I know there’ll be a sequel? The Incredible Hulk will probably smash bank and deserves to for its determinedly crowd-pleasing, pure Saturday matinee popcorn-entertainment value. It’s stringently PG-13 and makes one particular concession to the rating that had me throwing Junior Mints and the crowd groaning. With all the devastation in the Hulk’s wake, it’s a jarring, adrenalin-plugging, cold shower moment, but I guess you have to keep the kiddie demo. Either way, despite the fact that it’s not Iron Man (- Yes, boys and girls, that is the new yardstick) The Incredible Hulk is a lot of fun.